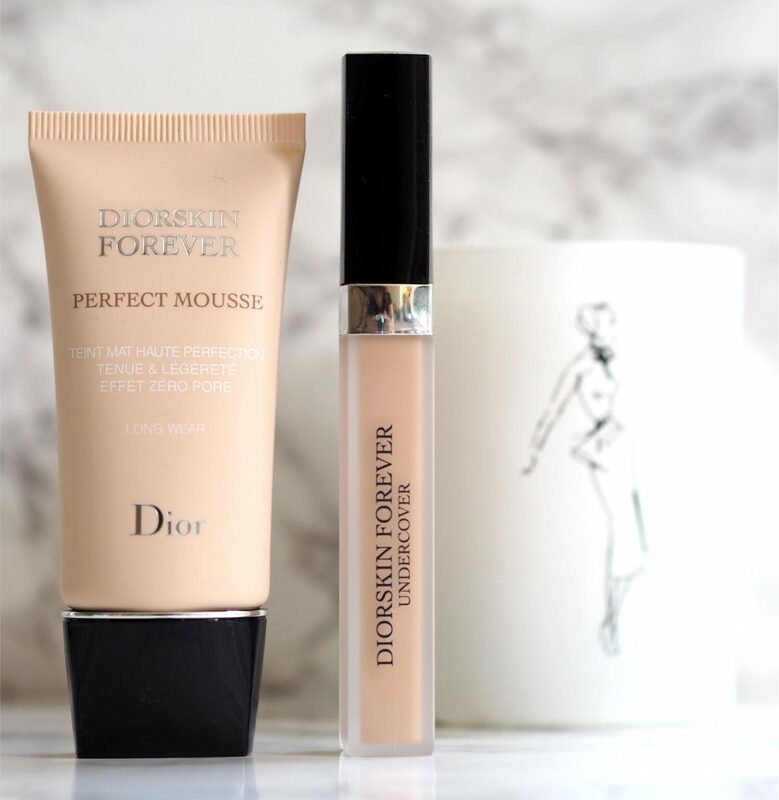 Two absolute gems coming from Dior for September – the Diorskin Forever Perfect Mousse long wear base and the Diorskin Forever Undercover Concealer. Starting with the concealer – after disappointingly dry coverage from the new Bobbi concealers, Diorskin Undercover is the opposite. It’s so rare to find a concealer that doesn’t make everything worse in terms of gripping fragile under eye skin and creasing it up but this genuinely doesn’t – or I should say, doesn’t on me. 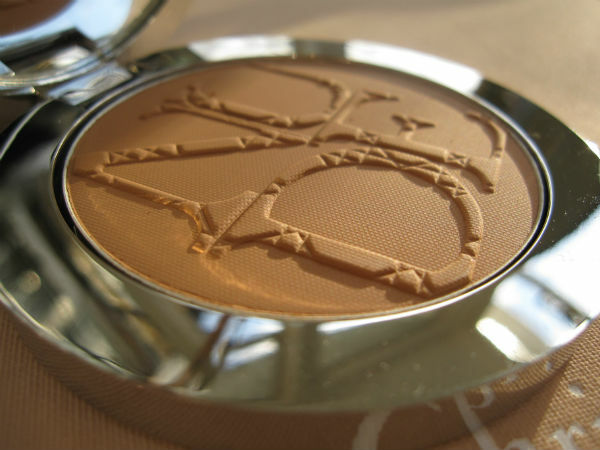 In weight, it feels super light, coverage wise I would say it’s more medium-full than full and longevity was absolutely fine on me. 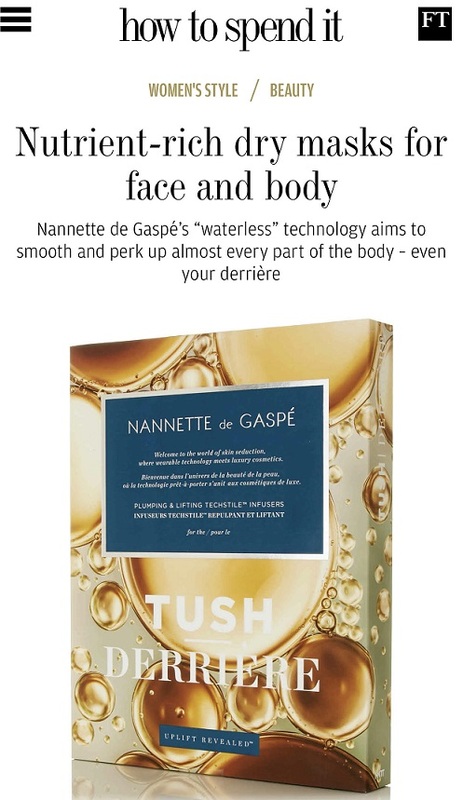 It has a wet feel at first until you blend it in – and I think that’s the secret of it: it’s not weighted down by too much powder which is what dries out under-eye skin once the liquid evaporates. L’Oreal concealers are the only others I can think of that keep the formula nicely wet for blending and never go to ‘dry’. 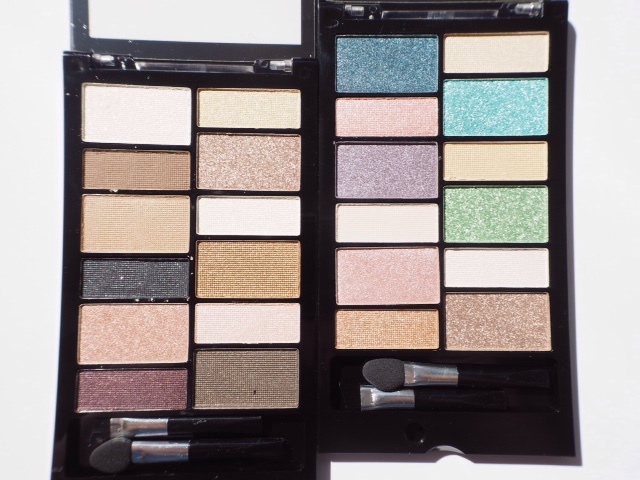 At this stage there are only 8 shades, but if you grapple with finding anything non-drying for your under eye area, I think you will be pleased with this, even at £21. 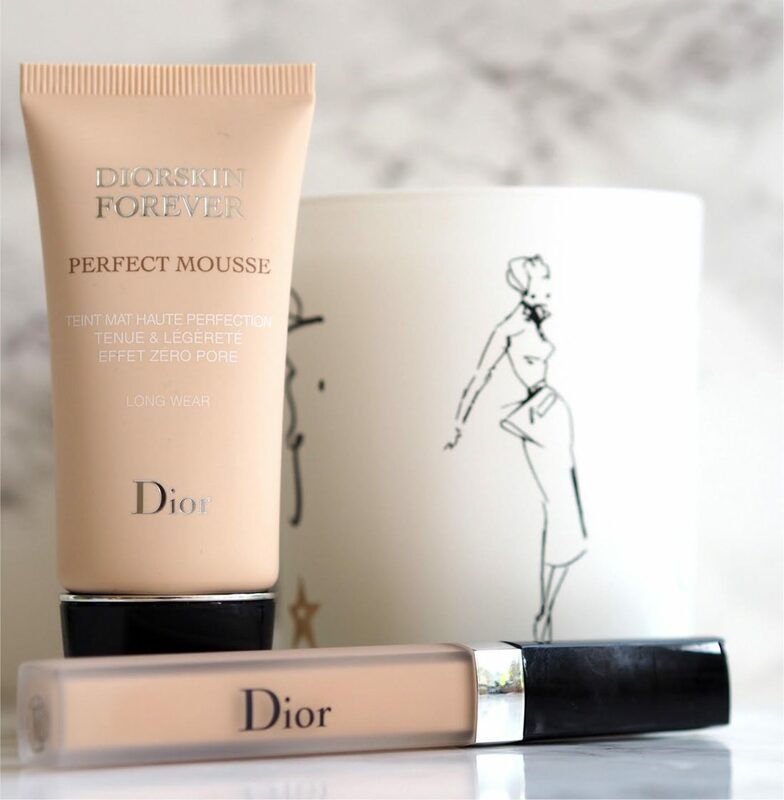 Next, Diorskin Perfect Mousse. 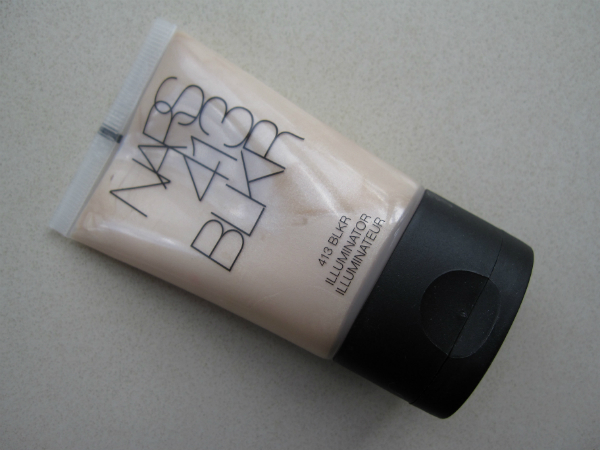 So, if you like matte coverage for your skin, I think this is one of the best I’ve used in terms of keeping an evenly matte tone, but more importantly, in terms of blur. It’s next level on that front because I really did think my skin looked much smoother and more even while wearing it. Better still, it doesn’t feel matte on the skin at all – in fact, very comfortable in the wear, although there is a very slight silicone feel to it. Normally, I don’t like mattes – I prefer skin to have some sheen or gloss to it but I was very impressed with the finish on this in terms of ‘perfecting’. In the cold and cruel light of the magnifying mirror, the effect wasn’t quite as good – it did sit in pores across my nose although it performed better when I applied with an oval brush rather than finger-tips. Because I think it relies on a silicone element, you need to be careful what you wear underneath it – I got squirls when I applied over Peter Thomas Roth Hyaluronic, but not when I used a different moisturiser. Again, it’s only 8 shades which is poor. It’s one of those Marmite products I think so if you can possibly get a sample before you buy, or an in-store application, I strongly suggest that you do. I know we don’t do ‘day’ and ‘evening’ coverage so much any more but this, to me, is evening. 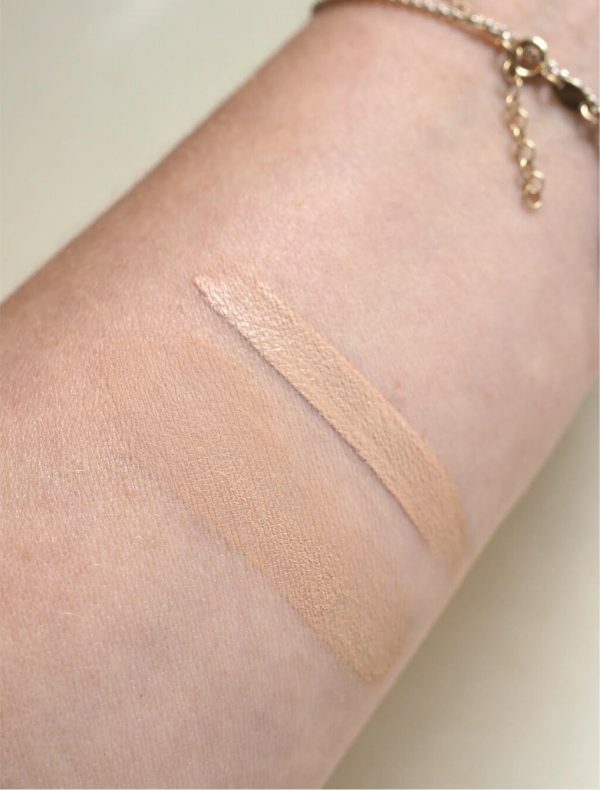 Coverage isn’t high – the shade I have in the swatch for both the mousse and the concealer is 020. 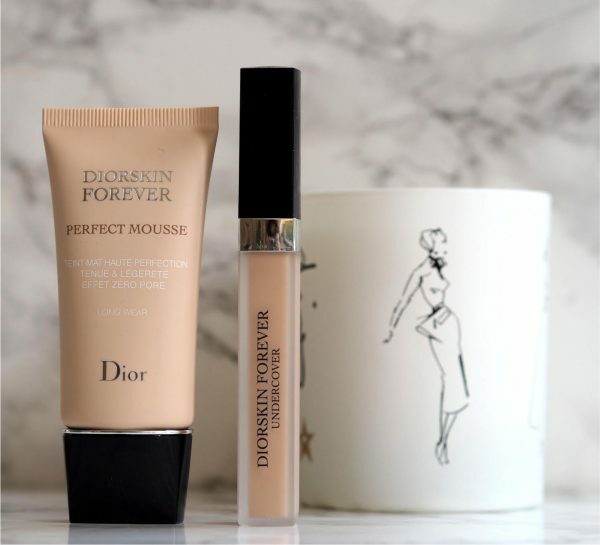 Diorskin Mousse is £32 and launches (with the concealer) in September. well, now you’ve said it… it’s ALL I can see as well…. Not crazy about the sounds of the Diorskin Mousse. I just purchased the Wet N Wild Photo Focus foundation which has full, matte coverage and blends like a dream for a fraction of the price. There are so many budget or mid price brands doing things just as well as the luxury brands. I love a good matte foundation. How’s the longevity? I will definitely check these out once they’re available. 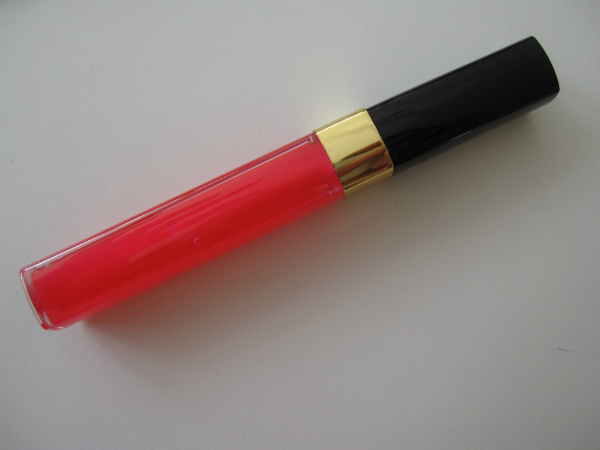 I found it ok – it is a long wear formula but I didn’t notice it out performed other non long wears. Now I know what I be getting for my next Dior gift box 🙂 I love those, especially when I am under the weather.